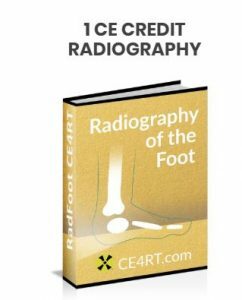 This article discusses CE credits needed by radiologic technologists for license renewal in Massachusetts. 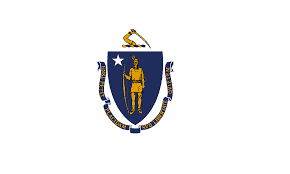 The requirements to obtain and maintain a license to practice as a Radiologic Technologist in the Commonwealth of Massachusetts is set out in 105 CMR 125.000. 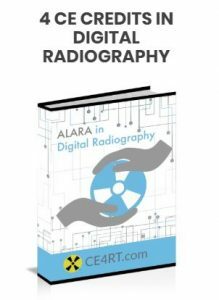 The purpose is to establish minimum standards necessary to become licensed and continue working as a radiographer in the state. The Massachusetts Department of Public Health issues licenses in radiography, nuclear medicine, radiation therapy, mammography, computed tomography, radiologist assistant, positron emission tomography, and nuclear medicine advanced associate. The term of the licensing cycle for continuing education is defined by the RT’s birth month. CEU requirements begin on the first day of the technologist’s birth month in the year the license is renewed through the last day of the month prior to the individual’s birth month, 24 months later. To renew a Radiologic Technologist license in Massachusetts, a renewal application, evidence of CEUs, and a valid copy of the ARRT or NMTCB card must be submitted at least 21 calendar days before the current license expires. All licensees in Massachusetts are required to obtain a minimum of 24 continuing education units during the two-year licensing cycle. Radiologist assistants and Nuclear Medicine Advanced Associates require at least 50 CEUs during each two-year licensing cycle. Each CEU (continuing education unit) equals one contact hour. One contact hour equals 50 minutes of educational instructional activity. Licensees receive 6 CEUs for Advanced Cardiac Life Support (ACLS) and Pediatric Advanced Level Support (PALS). Only one certification can be submitted during a licensing cycle. A copy of a valid certificate issued by the American Heart Association, the Red Cross, or the American Safety and Health Institute is acceptable. There is no CEU credit for basic CPR (BLS). Further information about licensure application and renewal are available on the department’s website. 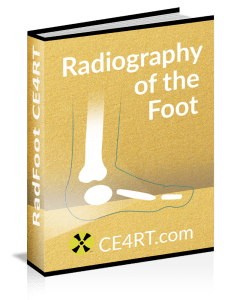 Licensed radiologic technologists are required to maintain CEU documentation for the current and previous renewal cycle at each place of employment. These records must be made available to Department inspectors upon request. Certificates of completion are acceptable evidence of CEU activities. Our ASRT-approved CE courses are accepted by the ARRT and the Massachusetts Department of Public Health. Once you pass the post-test, you can immediately print a certificate of completion as documentation of your CE activity. 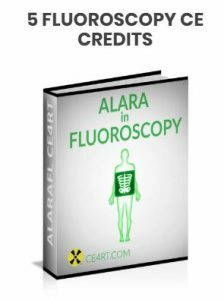 Our courses are accepted by any radiologic technologist, nuclear medicine, or ultrasound registry in North America, Canada, or US Territories. We back this up with a money back guarantee. Failure to meet CEU requirements during a licensing cycle will result in the technologist being placed in probation. 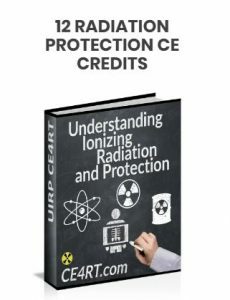 To be removed from probation, the technologist must obtain the number of lacking CEUs within 3 months from the expiration date of the license. In addition, penalty CEUs equal to the number of CEUs that were lacking will need to be submitted. These probation CEUs cannot be used to fulfill the current licensing cycle CEU requirements of 24 hours. 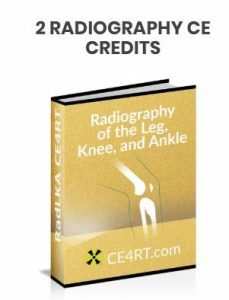 Our Massachusetts CE bundle includes Understanding Ionizing Radiation and Protection (12 CE credits), ALARA in Fluoroscopy (5 CE credits), Radiography of the Leg, Knee, and Ankle (2 CE credits), Radiography of the Foot (1 CE credit), and ALARA in Digital Radiography (4 CE credits), for a total of 24 credits. This fulfills the requirements for radiography license renewal in Massachusetts. These CE credits are also ARRT-approved to complete the 24-hour biennial requirement. The Massachusetts Society of Radiologic Technologists is a not-for-profit organization dedicated to advancing radiological science. Members can request approval of education activities by paying a processing fee. The society holds an annual conference and offers a job line and other resources.